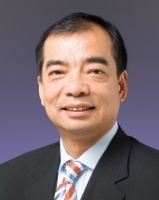 Mr Liu is Founder and Chairman of Evergreen Real Estate Consultants Limited and MyTopHome (China) Holdings Limited in Guangzhou. A highly respected chartered surveyor, he was Founding Chairman of the Asia Pacific Board of the Royal Institution of Chartered Surveyors. He has contributed significantly to the development of the Chinese mainland and Hong Kong through the assumption of many public roles. He received the Outstanding PolyU Alumni Award in 2003 and was appointed a Justice of the Peace by the HKSAR Government in 2009. He is currently a member of the PolyU Court.